Watch videos at the bottom. The Alliance of Indian Waste-pickers condemns exclusion of waste-pickers in Indore. To prepare for Swachh Bharat Survey 2019 (Clean India Survey 2019), the Indore Municipal Corporation is ‘catching, evicting, penalizing and assaulting waste-pickers for doing their work. This is in gross violation of fundamental ‘right to work’ of Indian constitution and Solid Waste Management Rules 2016 and Swachh Bharat Abhiyaan (Clean India Mission) guidelines. The Alliance of Indian Waste-pickers has written a strongly worded letter to various departments of government at the national level, including National Human Rights Commission and provincial letter. The copy of the same has been sent to Indore municipal authorities. The Alliance members have reiterated their demand of inclusion as has been enshrined in Solid Waste Management Rules 2016 i.e. Right to access waste, right to occupational identity cards, right to be involved in waste collection and operations of waste management facilities. The authorities should take strong actions against those who are violating the norms and pushing waste-pickers to the margins. Copied to: Union Minister of State for Housing and Urban Affairs, Union Minister of State for Social Justice and Empowerment, Secretary, Department of Social Justice and Empowerment, Commissioner of Urban Administration and Development Department of Government of Madhya Pradesh, Commissioner of Indore Municipal Corporation and National Commission for Safaikarmacharis and National Human Rights Commission. Subject: Condemning Indore Municipal Corporation’s action of evicting waste-pickers from their work and request for taking action in that regard. It has come to our notice from various news reports that to prepare for Swachh Bharat Sarveykshan 2019, Indore Municipal Corporation is evicting waste-pickers from their work. The municipal authorities have deputed officers to ‘catch’ waste-pickers. Once the waste-pickers are caught by the authorities, their picked up and sorted dry waste is confiscated. In some cases, the officers have physically assaulted the waste-pickers for doing their work. 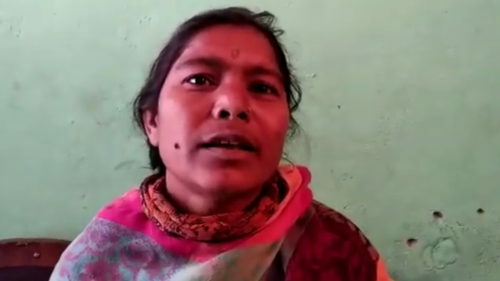 It is important to mention that the majority of waste-pickers in Indore city are women and belonged to the Scheduled Castes list notified by the various levels of government. The municipal authorities are asking waste-pickers to pick and sort material at the dump-site. The dump-site is distant for many waste-pickers. The existing workers in the dump-site are unwelcoming to the waste-pickers. Instead of seeking to upgrade livelihoods, the Indore Municipal Corporation has taken steps to further marginalize and exclude those that the SWM rules specifically require the municipal authorities to protect and integrate. All these actions stand in gross violation of Article 21 of the Indian constitution, which guarantees the fundamental right to livelihood, Swachh Bharat Abhiyaan guidelines and Solid Waste Management Rules 2016 which acknowledged the ‘right to work’ of waste-pickers. Indore has won the award of being the cleanest city in Swachh Bharat Saryvekshan twice. That said, there is no improvement in the lives of waste-pickers. Awarding the top prize to a corporation violating the fundamental rights of its poorest and marginalized is a slap in the face of inclusive measures purportedly enshrined in the Swachh Bharat Abhiyaan and all rules and regulations directing urban local bodies to ensure integration of waste-pickers. The actions of Indore Municipal Corporation will encourage cities across the country looking to Indore for inspiration to take such illegal and inhuman actions against waste-pickers. As per the SWM Rules 2016, the waste-pickers have right to identity card, access dry waste, the municipal authorities are mandated to create identification mechanism and provide for sorting and aggregation places for the collected waste, waste-pickers have right to training and skill up-gradation, right to integration in door to door collection of waste and operations of waste management facilities including Material Recovery Facility. So far, the Indore Municipal Corporation had issued identity cards to 2000 waste pickers in the city two years ago. The validity of the identity cards is for one year. In most other cities, the validity of such identity cards is either five or ten years, as renewing every year is a cumbersome task both for the municipal authorities and waste-pickers. This patchwork integration of very few waste pickers in Indore has meant the loss of livelihoods and unsafe and unfair working conditions for most of the waste-pickers. Unfortunately, waste pickers have been excluded from the very activities of the door to door collection of segregated waste that would have helped them to transform their lives. Waste pickers can access recyclable materials at the landfill site and that too only after compaction. They have been forcibly removed from their workplace, the streets and dumped in the landfill. Their right to sell the materials in the open market has been curtailed and they are forced to sell their materials only to the facility operator. This has disrupted the recycling chain and caused unemployment downstream. We again state that SWM Rules, Swachh Bharat Abhiyan guidelines mandate waste-pickers inclusion and not exclusion. We reiterate the demands, we made in the earlier letters sent to you (they are given below) and other concerned authorities and further request you to take severe action against the officers who are involved in physical abuse and forcible eviction of waste-pickers from their work. All waste pickers in Indore are registered as provided for under the Solid Waste Management Rules, 2016 and provided with identity cards, with a minimum validity of 5-10 years. The existing organizations working waste-pickers should be involved in the identification and enumeration process. Waste pickers are given the opportunity to join the Indore Municipal Corporation for the door to door collection on priority with the physical inability to perform work as the only criteria for exclusion. Material Recovery Work sheds are established at all the transfer stations where waste pickers should be permitted to access recyclable materials prior to compaction in the capsules. Only materials that have no market and are rejected by waste pickers should be compacted in the capsules. The wastepickers who are interested in alternative vocations or physically incapable of performing day-long collection activity should be given training for skill up-gradation, as prescribed in Solid Waste Management Rules 2016. The skill up-gradation can cover areas like the door to door collection of waste, event waste management, recycling plastic material. The waste pickers who are interested in carrying out composting work be trained and hired as workers in the composting plants and for in situ composting. All these opportunities constitute as green jobs and contribute to sustainable development of Indore city. Wastepickers should be provided space for the aggregation of materials recovered from the waste. The wastepickers should be given occupational safety gear including gloves, shoes, aprons and uniforms (wherever required) on the timely basis. The occupational identity card of waste pickers is considered valid for benefits under all government schemes even if they don’t have a BPL card. The penalization of wastepickers by municipal/state authorities should stop. The wastepickers above the age of 60 should not be stopped from working. They are a productive workforce, who are earning their livelihood. We look forward to your intervention in ensuring justice to the 3000 waste pickers of Indore city. We also request a meeting with waste-pickers and their representatives in this regard to take the matter forward.